Frankfurt, Germany - Eltima Software is pleased to announce the release of VideoDuke 1.0, a new product in their range of user-friendly media apps for Mac OS. VideoDuke is a dedicated video downloader for macOS that supports a multitude of websites and can download various types of videos from them in different resolutions. Support for streaming videos means one can save live streams of sports events, video games, educational programs, etc. on their computer. 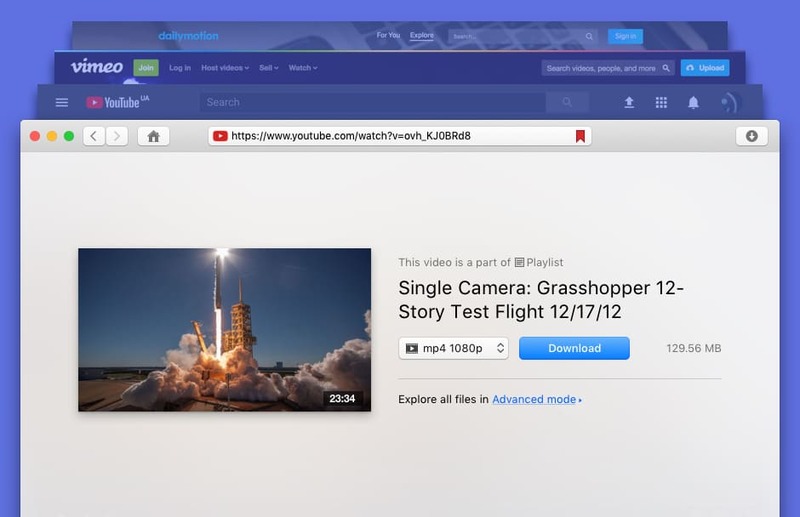 VideoDuke can download videos embedded via HTML5 and those streamed over RTMP. As well as many other popular platforms, YouTube is well supported by VideoDuke. This means one can save videos in a desired quality as well as simply extract audio files from any YouTube video. VideDuke can operate in two modes: simple and advanced. The names speak for themselves - Simple mode is laconic, only has a handful of controls to allow for quick and easy downloading in the least amount of clicks. In Advanced mode more complex options are available: the app will display all resources fetched from the web page including the video itself, audio, Flash animation, images, etc. If you need to download any of the mentioned above, you can easily do so by clicking the Download button next to each item. You can switch between the tabs of the app to filter the content you are interested in. If a video has subtitles or closed captions in different languages, you can save them to your computer along with the video. The subtitles will be downloaded as an SRT file that can be played by the majority of video players or embedded, depends on the original type. VideoDuke offers a convenient option of bookmarking favorite content for quick access at any time. By integrating VideoDuke with your web browser you get to download videos even faster: whenever you see something worth saving on your Mac, click the app bookmark to initiate the download. VideoDuke is an intuitive and straightforward application that will download a large variety of file types from popular web resources mainly targeting video content. The team behind VideoDuke is knowledgeable and striving to deliver the best product to its customers. As a result users don't just get the software, they also receive a helpful tech support as part of the package. Eltima Software is a global software Development Company, specializing primarily in serial communication, mobile and flash software for Mac OS and Windows. Eltima Software delivers top-notch solutions having a friendly team of 40 professionals. Copyright (C) 2018 Eltima Software. All Rights Reserved. Apple, the Apple logo and Macintosh are registered trademarks of Apple Inc. in the U.S. and/or other countries.